There is no shortage of exhilarating fjords in Norway, each promising spectacular natural views of untouched verdant forests, ice cold lagoons and sweeping views over seemingly endless cliffs and mountains. 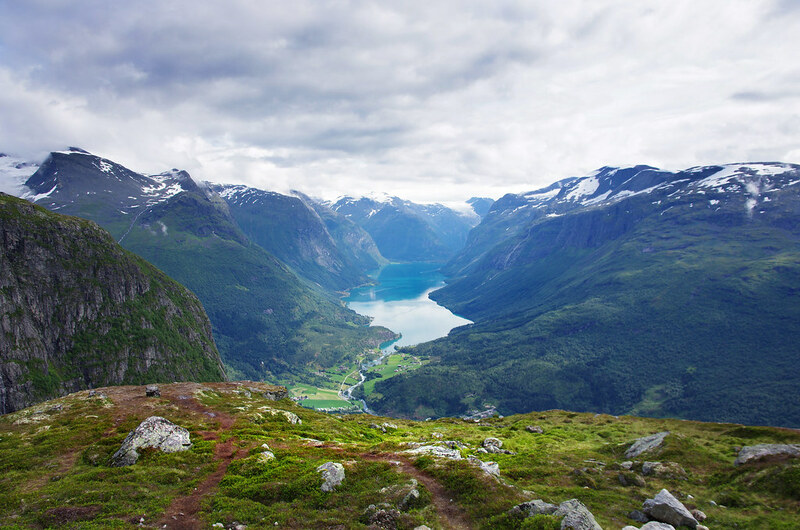 In many countries, the best hiking routes are only accessible to those in the know or with high-tech equipment – this is not the case in Norway, the undisputed home of the fjords! 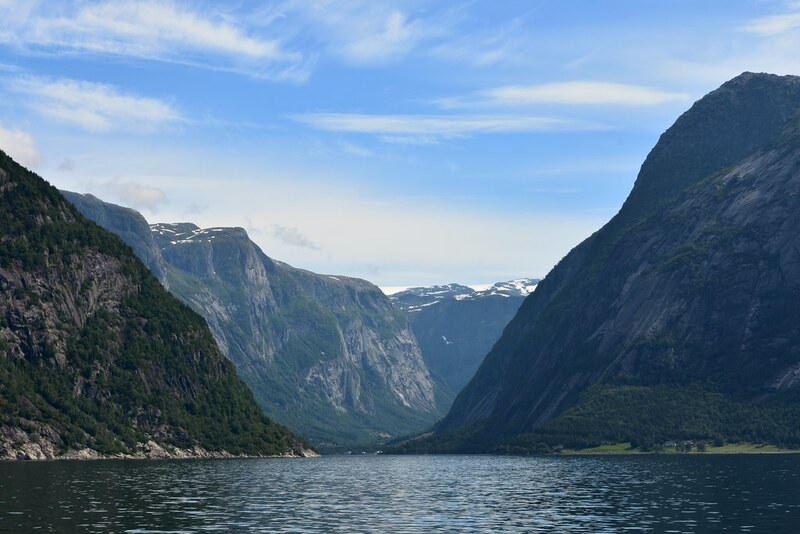 Here are 15 of the most accessible fjords worth hiking on your next Norwegian adventure. 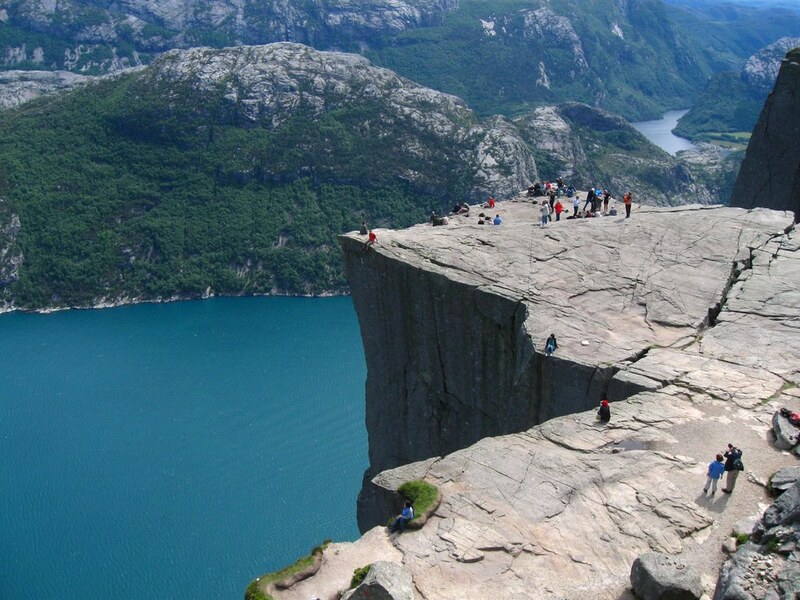 Preikestolen (“the pulpit rock”) is one of Norway’s most famous fjords and a hiker’s paradise. It is no wonder that this has been voted CNN and Lonely Planet’s top viewing point in the country when you hike to the top of the 604-metre cliffs that hang over the icy blue waters below. Start your hike at the Preikestolen Mountain Lodge and cross endless hilly terrain as you gradually rise to an altitude of 350 metres. The peak of Preikestolen offers uninterrupted views of Lysefjord and its countless bathing spots. End your hike back down in one of the chilly glacial pools at the base. Often touted as Norway’s greatest hike, the journey to the peak of the Romsdalseggen ridge is one not to be forgotten. From the top of its distinctive peaks, you can watch the sunset over the Romsdal mountains, Kongen, Dronninga and Store Trolltind in the distance. Start the 10-kilometre hike at the bus stop and pass a fast-flowing river. The terrain flattens as you follow the trail past Jamnåbotn and up the steep mountainside towards Åndalsnes, here you will have a 360-degree view of your natural surroundings. For the rest of the hike you will be walking along the ridge of the fjord to the peak, so if you are scared of heights, don’t look down! 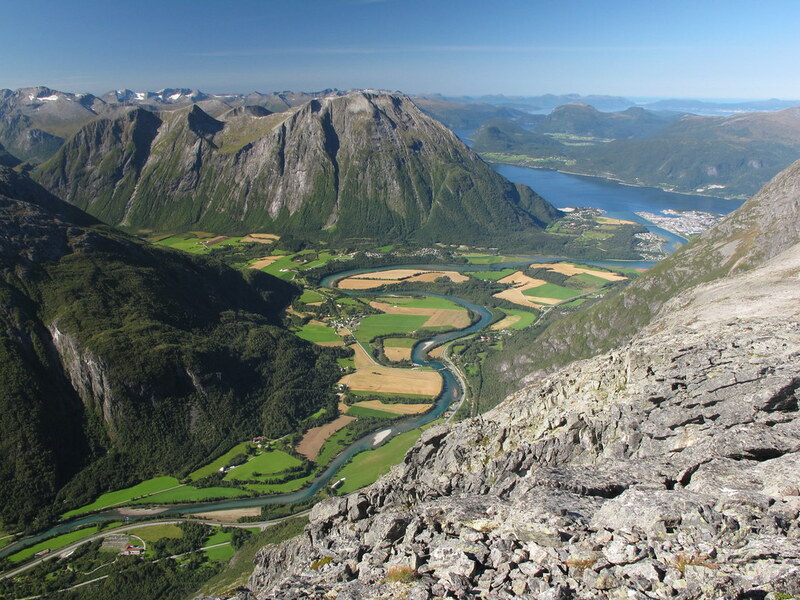 You won’t find a longer uphill stretch in the whole of Norway than on this hike. 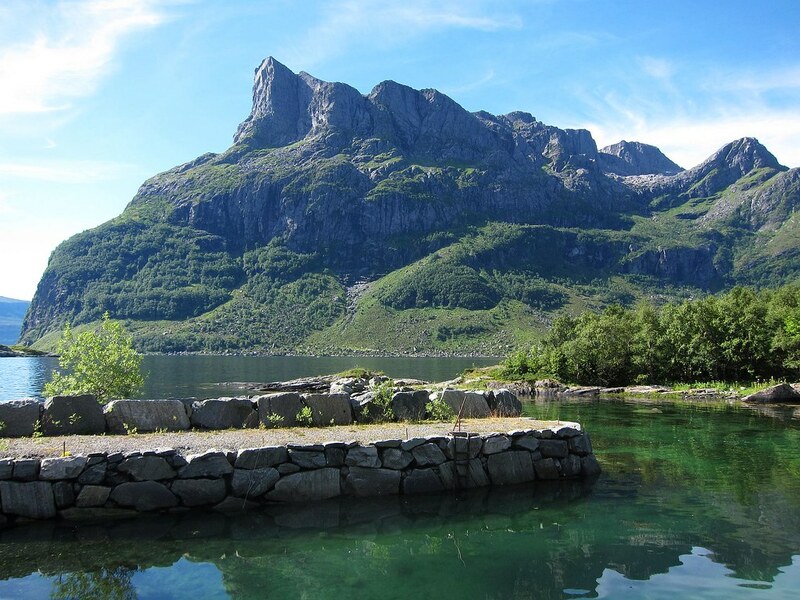 This mountain is in the area of Nordfjord, the most northerly part of Fjord Norway. There are 230 designated hiking trails along Mount Skåla, so you will definitely be spoilt for choice. The round tower (Skålatårnet), a snow-covered hotel is located at the top of the mountain, so this is often the chose route, peaking at some 1,848 metres above sea level. This hike starts beside the glassy Loenvatnet lake, passes along rough tractor tracks that wind their way up the mountain, and through thick Nordic forests (complete with wolves and reindeer). The path is well-marked, but some areas can be slippery underfoot. 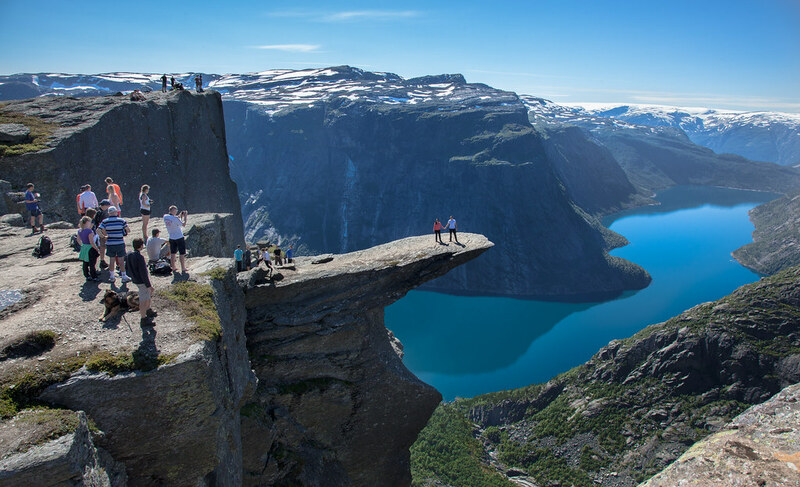 Translated literally as “the troll’s tongue”, Trolltunga is the picture postcard image that Norway sends around the world. It is a cliff that hangs 700 metres above thick forests, rugged mountains and the smooth waters of Lake Ringedalsvatnet. Don’t forget your camera on this hike. This hike, ascending 900 metres into the air, will take around 10 hours, so is not for the faint of heart. The trail starts to the right of the disused Mågelibanen funicular railway, passes alongside the Ringedal dam, which can be deafening as the water crashes into the dam wall, and over sheer mountain potholes. Follow the red ‘T’ signs to keep to the route. Once the main connection between east and west Norway, the Aurlandsdalen Valley is wild and rugged. It has securely cemented itself as one of Norway’s favourite hiking destinations, with many people choosing to bike and hike across the whole valley from Østerbø to Vassbygdi. Start at the town of Østerbø and begin the hike. You will pass Nesbø farm, one of the oldest farms in Norway having been founded in 1664, Nesbø lake with its clear waters, the steep rise over Bjørnestigen towards Vetlahelvete, and the traditional colourful wooden buildings on Sinjarheim Farm. The hike should take no more than 5 hours. Hornelen is Europe’s tallest sea cliff, literally being battered by the sea’s rough waves as you hike. The winds are cold and strong, and it quite often rains along the North Sea coast, but the views that await you from the peak are simply spectacular. Taking around 8 hours, there are over 200 hiking routes to Hornelen to choose from, most starting at Bremanger. You will pass narrow fjords, towering mountains and small islets being swamped by the sea as you progress along these routes. There are over 50 waterfalls along the Fjord coast too, giving the region the name Fosseheimen. Hardangerfjord is actually a series of fjords, with HM Queen Sophia’s hiking trail offering a touch of class between Kinsarvik and Lofthus. There is no shortage of views to savour and clean air to breathe when hiking through Hardangerfjord. On this hike you will visit Lake Fitjadalsvanet, several summer pasture farms and countless flowing streams and rivers. Start the trail at the town of Øystese and progress through the varied landscape to the peak. Follow the marked trail and you will circulate along the edge of the volcanic crater overlooking Lake Fitjadalsvanet. Another one of Norway’s most popular hiking routes, walking to the top of the tallest peaks in Sognefjord, Galdhøpiggen, through the Jotunheimen National Park is not to be missed. This route is characterised by its towering peaks, mountain glaciers and deep blue lakes. Start your hike at the town of Luster and follow the marked road (people also choose to drive along the route) past some of the tallest mountains in Norway. You will get sweeping views over Store Skagastølstind, the wider Hurrungane range and sheer hairpins in the road coated in powdery white snow. Mount Hanguren is world-famous for its clean drinking waters marketed as Voss, but it is so much more than a water bottling area. Snow-capped peaks define the landscape and continuously catch your eye as you hike. Green pastures, mossy bogs and clean lakes are also in abundance here. The hiking route begins in Voss town centre, past Voss church and the Folkemuseum, towards Mølster. A dirt and stone path leads you from the base of Hanguren right to the peak, and although steep, this is a trail for beginners. 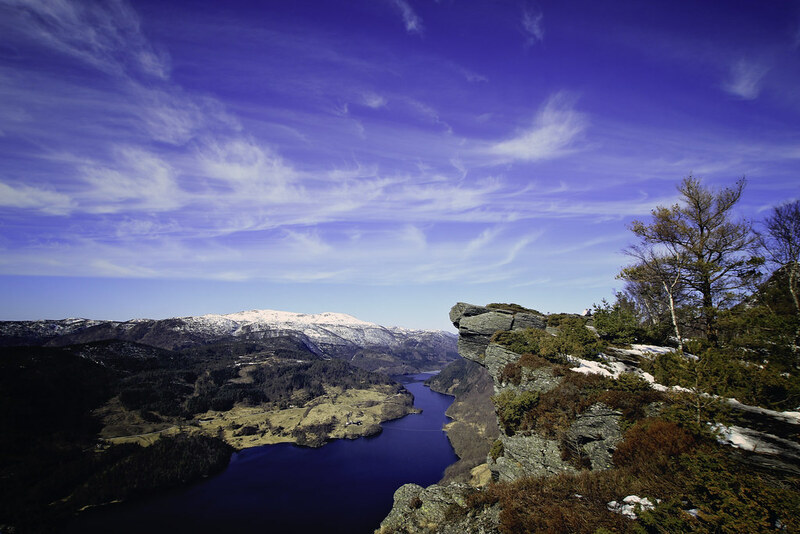 In just 2 hours you can savour the unrivalled views over Voss and the surrounding region. Mount Fløyen is about more than just hiking, if you choose this trail you can also savour the Norwegian tradition of wild lodge camping if you choose. You will not stray far from the town of Bergen, so there is no chance of getting lost here. Start at the funicular station and follow the marked road towards Blåmansveien. Follow the signposts left and walk past the unmissable domed rain shelter (you could stop here for a picnic) to the steps of Fløyvarden cairn – offering awesome views from 393 metres above sea level. From the cairn walk through the forest and cross a small footbridge into a clearing high above Bergen. 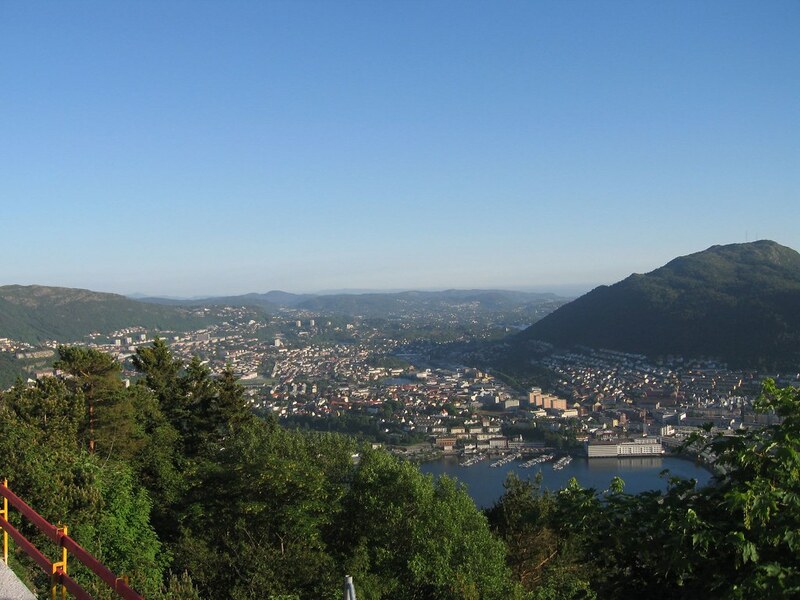 This is the highest of Bergen’s mountains, and certainly one from which to enjoy the panoramic views of one of Norway’s largest settlements. This is a perfect way to mingle with locals, as many choose to relax and escape from everyday stresses by hiking to the peak of Ulriken. Start behind the cable car station at Ulriksbanen and follow the marked track. The track winds through the thick green forest, past traditional wooden houses, and over small bridges. Pass the biking track and walk through the car park at Montana. 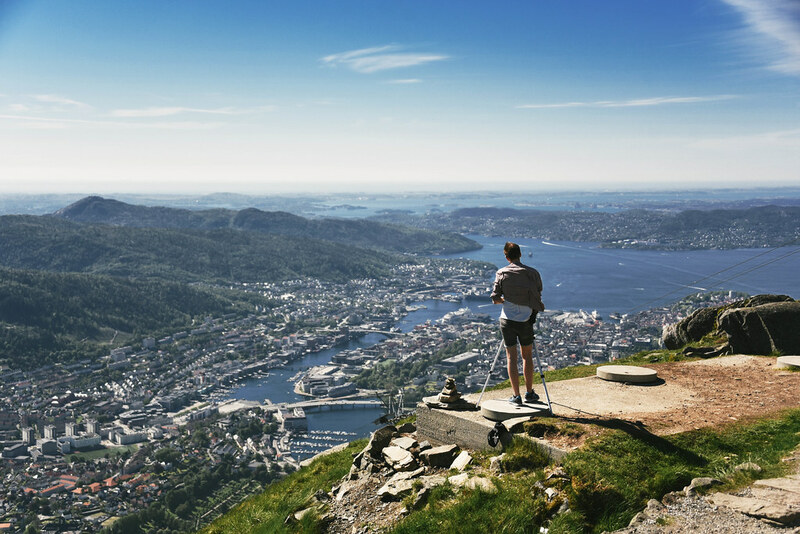 Before you know it, you will come face to face with the endless natural views surrounding Bergen. 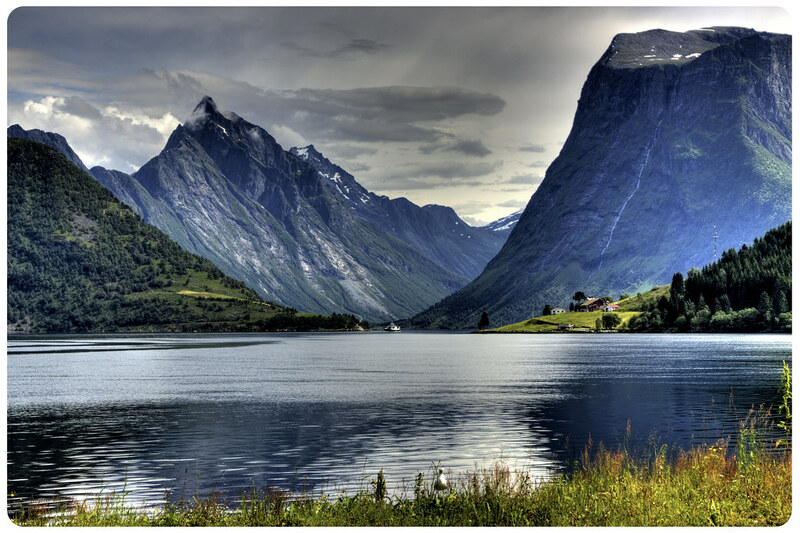 Many people say that this is Norway’s prettiest fjord, but most people don’t even know about Næroyfjord. It truly is a hidden gem amongst the many fjords and mountain ranges that call Norway home, and a UNESCO-listed World Heritage Site. To scale Næroyfjord you need to start in Bakka – there are no other settlements after here. The hike should take around 1.5 hours from base to peak, through verdant meadows, thick birch forests, and small lakes. 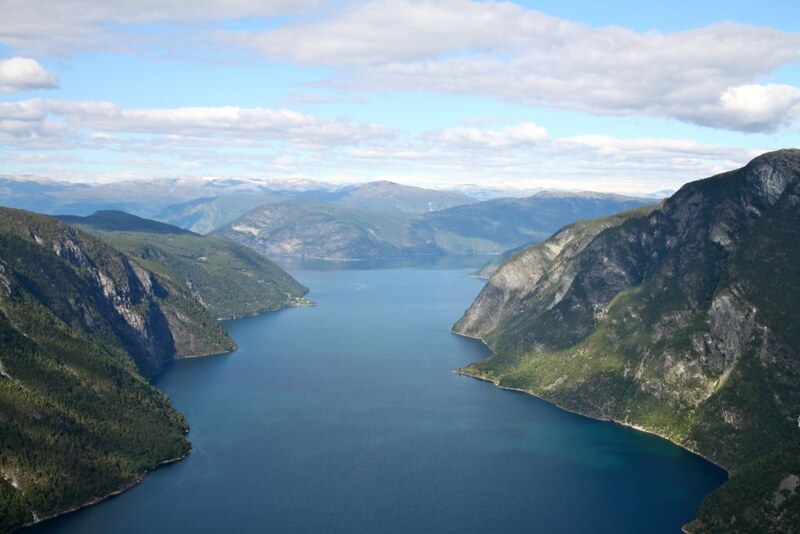 Although this is Norway’s smallest fjord, the views from the peak of Rimstigen are not to be missed. The Hjørundfjord takes the breath away of every hiker wise enough to choose this as their next adventure. 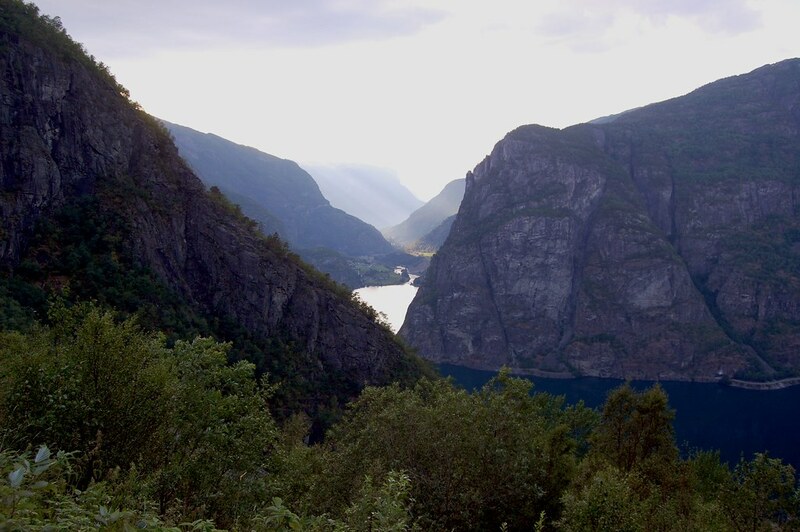 The fjord cuts directly through the middle of a mountain, and legend suggests that it is the legacy of an arrow shot by St. Olav, with an arrow still standing to this day in a field in Standal. This hike takes in much of the unique culture that Norway’s fjord regions have become famous for. For 35 kilometres, the trail passes several glaciers, alpine farms, fish-filled streams and lakes, and pint-sized villages, including Sæbø, Trandal and Øye. Locals have always known about Himakånå, or “little Trolltunga” as it is commonly referred, but few visitors take the time to explore this fjord. The area has its own unique microclimate, with oak and birch trees towering over the landscape, and unique rock formations dominating everything here. In just 2 hours, you can find yourself overlooking one of the most spectacular parts of Norway. Much like Trolltunga, the cliff hangs over a lake, and only the bravest will walk close to the edge! The hiking is not difficult here, gentle strolls through valleys, up winding paths, and over small streams. Taking you to an altitude of 300 metres, and offering views of the Langfoss waterfall’s water spray, hiking to the peak of Åkrafjord is one of those experiences that will stay in the memory forever. The old winding trail meanders through lush mountain pastures, through beautiful pine forests, and deep into the spray of the waterfall. You won’t see the waterfall as you ascend, but you will hear it thundering through the air and shaking the ground under your feet. The peak is rock lookout, a viewing spot overlooking the splendid Folgefonna glacier and the water tumbling down to Mosnes Valley. Explore our collection of hand-picked hiking and kayaking trips in the Norwegian Fjords and other Norwegian adventures.